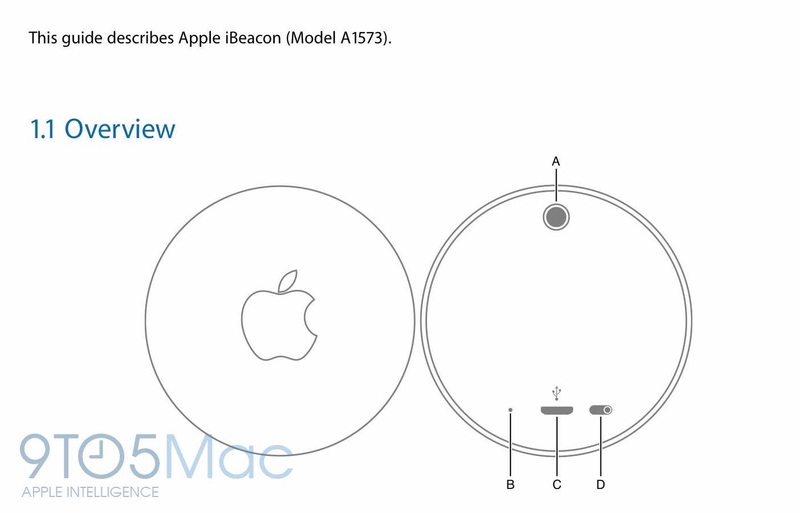 More details about Apple's hardware product dedicated to its iBeacon location-sensing technology have just been uncovered. In July last year, it was discovered that Apple had filed an application with the Federal Communications Commission (FCC) for the certification of a device called “Apple iBeacon” with the model number A1573. Now, additional documentation has come to light in the form of a user manual published by the FCC, which indicates that the product is designed for use by developers in testing iBeacon integration in their apps. The Apple iBeacon mounts to a wall with a standard screw. There is an LED on the underside of the unit, which reports battery condition and general status. Although there is no mention of battery life, it probably lasts several months (Bluetooth Low Energy doesn’t drain much power) and can be recharged via micro-USB. A switch on the side device allows it to be reprogrammed, so it can be configured as necessary. The user manual also mentions an Apple iBeacon companion app, which apparently functions as a control hub for the device, but no visual representations or mockups of the app are included. 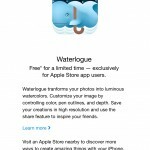 The device is widely considered the first Apple-designed product dedicated to iBeacon. Since Apple launched the technology in 2013, companies that integrate with iBeacon, including Apple itself, have had to use hardware beacons made by third-party manufacturers. It's unclear, though, whether the Apple iBeacon will be officially released at all. 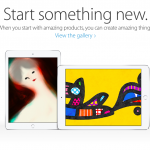 See also: Apple's 'Start Something New' ad campaign turns retail stores into art galleries, Check out what's inside Apple's 'Lucky Bags' in Japan this year, and Apple implements price increase for iOS and Mac Developer Program in UK and Germany.